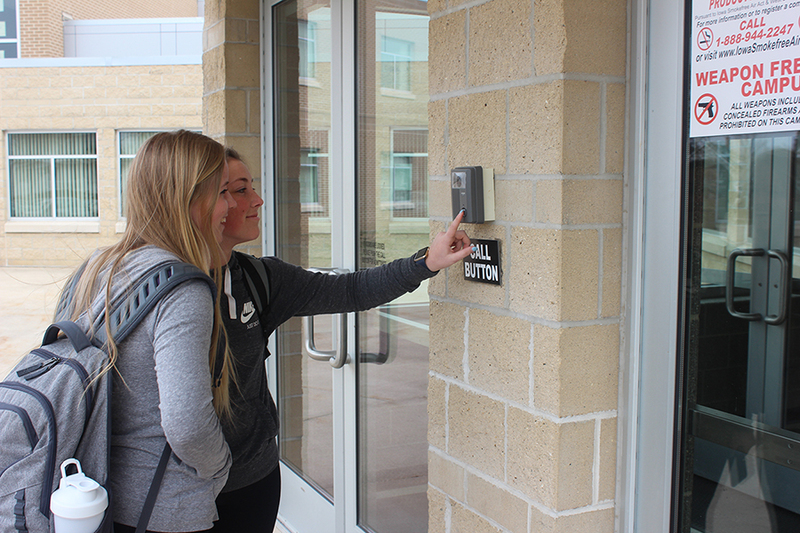 Seniors Kira Vaske and Rachel Haight use the buzzer to be let in during the school day. Since the shooting in Parkland, Florida, on Valentine’s Day, students all over America have been speaking out on how safe they feel in their own schools. West Delaware students feel the administrators are doing their best to keep the students safe, but they believe there could be improvements. Senior Jil Patel, originally from France, feels safe due to the cameras throughout the school and due to the need for visitors to buzz in through the front door. Most students believe the school is limited in what they can and can’t do. Some students have additional ideas on what could make school even safer. Jacob Georgen (10) suggests that an alarm should go off when a door to the outside is propped open so students can’t sneak people into the building. Junior Laia López Rigol feels that the school should be more strict on who they let though the front doors and thinks that metal detectors may help. Most students don’t realize the process that the secretaries go through before unlocking the doors to let someone in. “We have chosen to not allow people in. One time an adult looked questionable, so we sent someone out to meet them instead of letting them in,” Gudenkauf said. Following recent events across the country, the West Delaware School District personnel and Principal Tim Felderman have taken steps to increase safety and to prepare students and staff for the possibility of an intruder. When Felderman started at West Delaware, school leaders had already installed video cameras in order to have eyes in the hallways at all times. Felderman felt the district was a bit too friendly and wanted to create a policy that could make the building more secure. In the fall of 2015, Felderman started the locked door policy to prevent intruders from entering the building. On Mar. 1, 2016, Keystone AEA personnel informed students and staff about active shooter preparedness. The following month Felderman began emergency drills where he interrupted classes every other month to read a scenario for students and teachers to discuss. The administration has also discussed holding evacuation drills when the weather gets warmer. 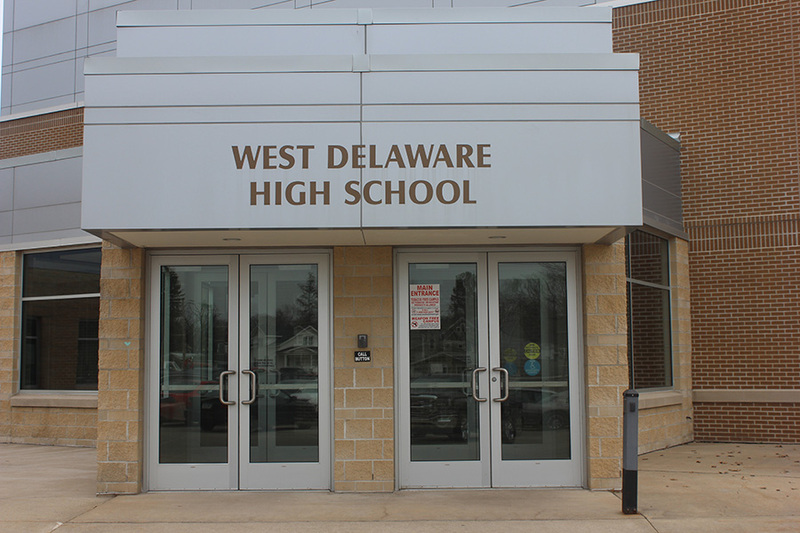 At the moment administrators plan to continue talking to students and staff, making sure the doors stay locked and continuing to look for activities that will help West Delaware to be more prepared. Felderman is passionate about the need to incorporate preparedness and the need to be aware in the school environment. Felderman feels everyone should feel safe coming to school.